Writing Done Right is a writing curriculum written by Sean Killeen in Torrance, California, to assist anyone in teaching writing. Students from all backgrounds have excelled using his systematic approach. 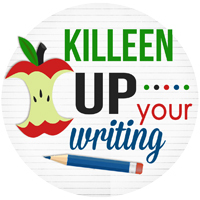 With great instruction and the right tools, all students can "Killeen" up their writing! Sean Killeen has taught third, fourth, and fifth grades for more than 20 years, and has a passion for teaching writing. Learn more about Sean's personal and professional background, which led him to write this curriculum.